For our more product range please visit our website ; 1. 2. Our client can avail from us an wide range of BRASS SCULPTURE, STATUE. Our collection is designed by experienced designers, having a good sense of arts, style and trends as well as its specific requirements. We are designed and developed in our own factory, we have control and influence over the choice of raw materials and designs that make up our products. Beautiful Brass Ganesha Seated on Throne 09"
The idol has been beautifully adorned with the colours to give him real life look. Moreover, clients can easily avail these statues in variety of specifications at market leading prices. Be it a change in size or design, we are happy to incorporate of all requirments. 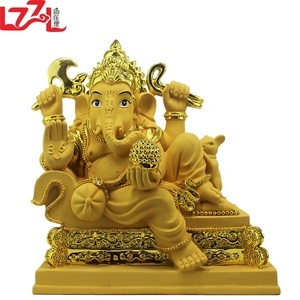 Alibaba.com offers 4,002 god ganesha products. About 13% of these are sculptures, 13% are other gifts & crafts, and 8% are metal crafts. 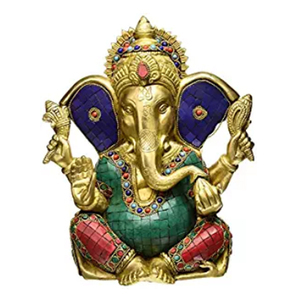 A wide variety of god ganesha options are available to you, such as resin, wood, and metal. You can also choose from sculpture, figurine, and fountain. As well as from religious, antique imitation, and nautical. And whether god ganesha is art & collectible, home decoration, or souvenir. There are 3,679 god ganesha suppliers, mainly located in Asia. The top supplying countries are India, China (Mainland), and Thailand, which supply 87%, 9%, and 1% of god ganesha respectively. 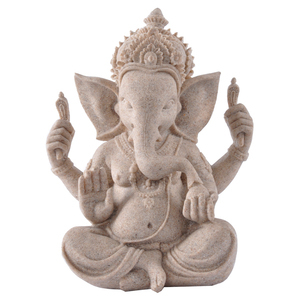 God ganesha products are most popular in North America, Northern Europe, and Southern Europe.